Do you care about clean water? Assuming you said yes puts you into the same boat as farmers. While farmers need water to grow their crops, they also understand their role in lessening the amount of applied nutrients that excess water can carry away. Researchers at South Dakota State University are working with farmers on a new project which will enhance the quality of water leaving tiled farmland, lessening the amount of nutrients carried downstream. 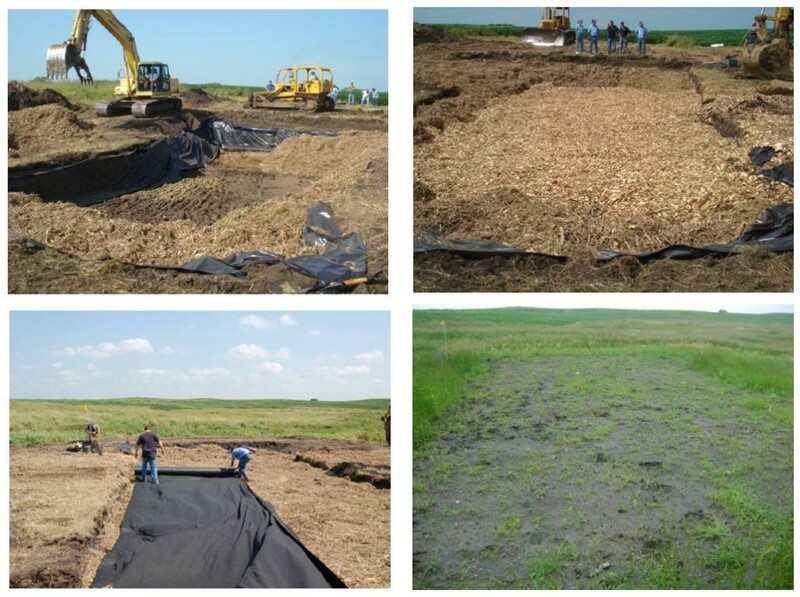 These projects are called denitrifying bioreactors, which are basically giant filters consisting of wood chips which will absorb the nitrogen from water exiting the field through drain tile. Just how much can these projects remove? Similar projects in Iowa and Minnesota show nitrate reductions of between 50-70%. The advantages of these bioreactors would be that very little land would be taken out of production, they can be retrofitted to current drainage projects, they require very little maintenance and there is no reduction to the effectiveness of the drainage. This entry was posted in News and tagged clean, corn, denitrifying bioreactors, drainage, farm, field, tile, water.